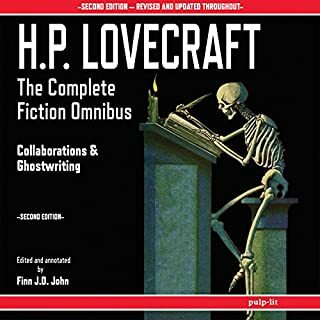 This volume contains the stories that nearly everyone agrees are the best work of H.P. Lovecraft’s life. 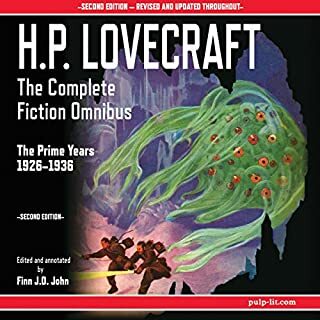 Chronologically, it is the second book in a three-volume omnibus set comprising the complete fictional works of Howard Phillips Lovcecraft. 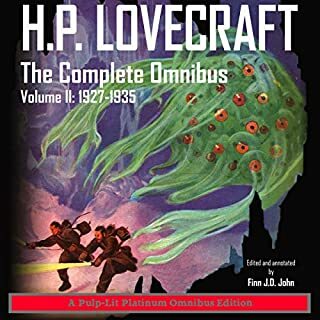 This volume is part of the three-book Pulp-Lit Omnibus Collection of all the fiction writing of Howard Phillips Lovecraft. 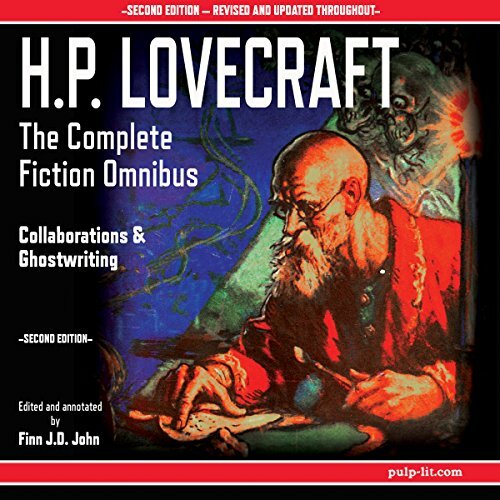 It presents the works of weird fiction which he ghostwrote or on which he collaborated with another author. The best horror stories I have heard. 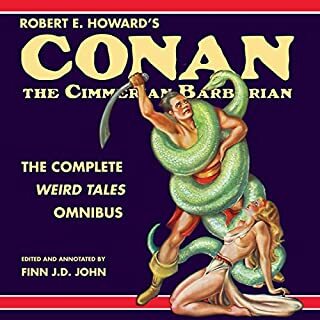 Robert E. Howard, renowned creator of Conan the Barbarian, was also a master at conjuring tales of hair-raising horror. 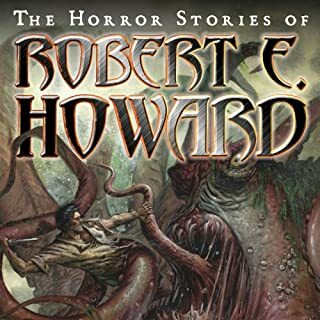 In a career spanning only 12 years, Howard wrote more than 100 stories, with his most celebrated work appearing in Weird Tales, the preeminent pulp magazine of the era. This volume covers H.P. 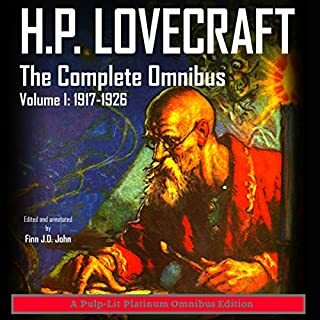 Lovecraft's "apprentice years" - roughly the first half of his literary career, the half written before his return to Providence in 1926. Every story written for publication under his own name is included in this volume, from 1917 through 1925. Finn JD John is fabulous and give a the words the gravitas they do richly deserve. I already know and love most of H.P. Lovecraft. The narrator is monotone and listless.